his one goes out to fellow DorkDad Ande Davis. He recently put out an impassioned plea for help preparing for the imminent arrival of his first child, and as a fellow Giants fan I felt obligated to come to the rescue. I too had a similar problem and had to get crafty in order to solve it. Here’s DorkDaddy’s how-to guide for those times when the internet lets you down and you aren’t able to pass on the “dork” to your kids like they deserve. This place specializes in selling the most generic clothing you can imagine. 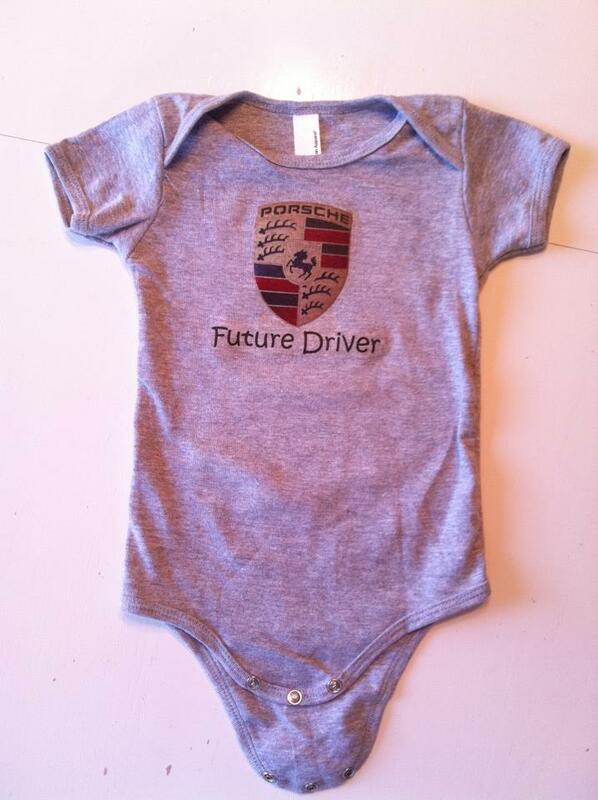 They stock T-shirts in every conceivable color… and onesies too. We just happen to have a store nearby, but they sell stuff online too. I got the onesie(s) I needed in the color(s) I needed with no hassle. 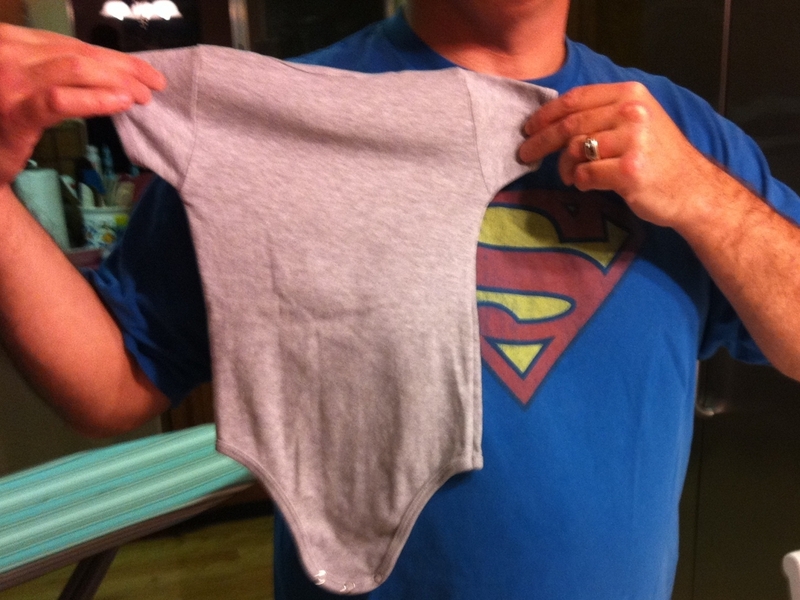 This mild-mannered onesie is about to turn into something super. Iron-on fabric transfers. They’re in the stationary section. Who knew? You actually design the graphic you want, put one of these sheets in your inkjet printer, and print the thing. So easy my mother could do it. The hidden, crafty gem in your office supply store's stationary aisle. Use your mad graphics skills to create the image you want and then print it out. The only tricky part is that once your graphic is finished, you have to flip it horizontally because the iron-on process transfers the graphic as a mirror image. Cut out the image to remove as much excess as possible. If you made it through kindergarten you’re probably qualified for this step. Don't hurt yourself there DorkDad. 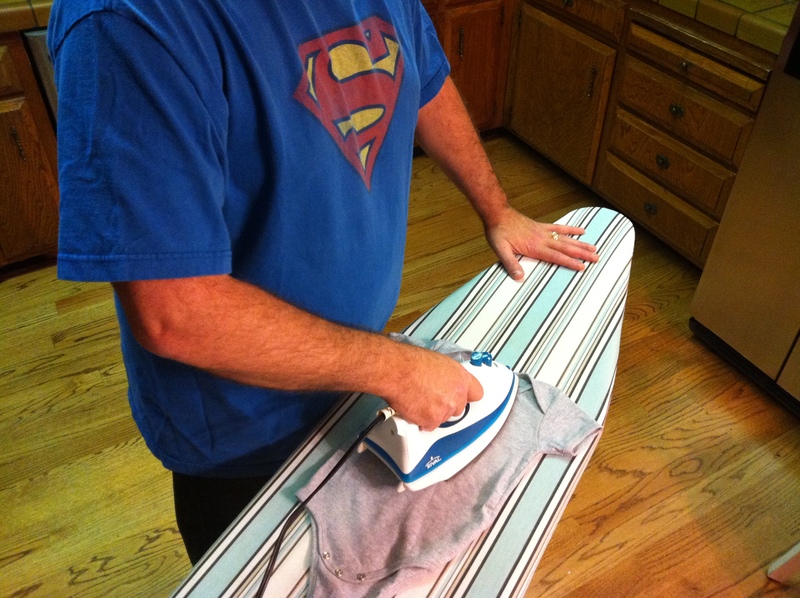 This is the single most difficult step, not because ironing is difficult, but because so many of us haven’t actually used an iron in the better part of a decade. Dorkspouses may choose to step in and take over this step, not because the ironing is their responsibility, but in the interest of the safety of everyone involved. You see honey? I can do it all by myself. I'm a big boy. This has become a new, interesting dynamic in our home. Whenever anything noteworthy happens my wife has taken to saying, “And I suppose you’re going to blog about his one too, right?” You’d think a simple image like this would be easy to find. Not so. Apparently the boys in Stutgard guard their intillectual property very jealously. Too much too soon? No way. Not when you're indoctrinating your kids. This is "arctic silver". I also made one in "midnight blue" and "classic red". So there you go Ande, and there you go readers. 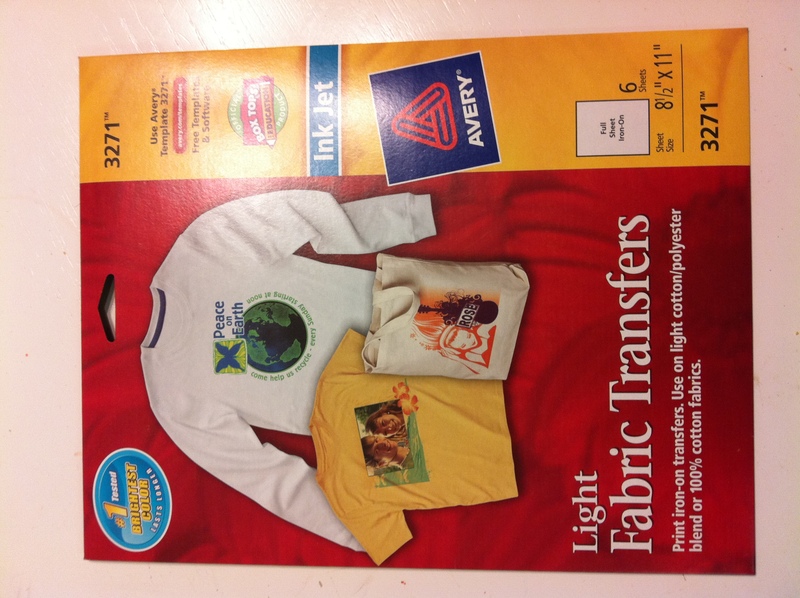 You all thought iron-on transfers died in the early 80’s, didn’t you? 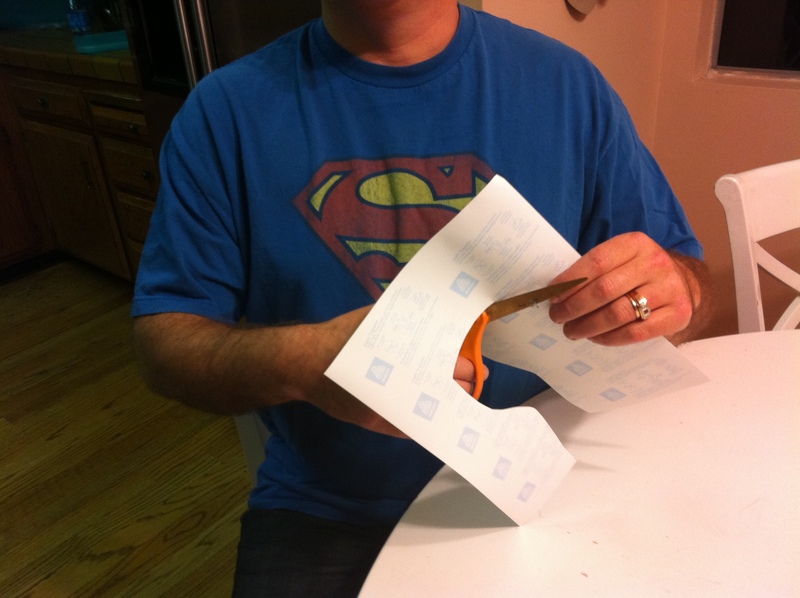 I love it – my kids had so many Star Wars iron-on shirts, thanks to American Apparel. They also have the best kid sweat pants… start them out right – with elastic waist! Great post. If things get much worse Re: my previous post, *I’M* going to have to move to an all elastic waist wardrobe. Thank you, good sir. I’d make you President of the Internet if I had that much power. Of course, to do that, I’d have to be Emperor of the Internet, and then your title would be nothing but a figurehead. So I guess a simple thanks is better. As the bylaws of The Sith clearly outline, it is the obligation of every Darth to overthrow and eventually slay his/her Emperor. Darth Dorkdad has a nice ring to it, don’t you think?